Early Life: Bob was born November 24, 1925 in Provo, Utah, to Wilford Franklin Penrod and Flora Eudora Chipman, the eldest son of their six children. Bob grew up in Provo, Utah where he would later leave to serve his country in World War II. He signed up for the Navy rather than being drafted. Went to Basic Training in Farragut Idaho in December, 1943. He received electrical training in St. Paul, MN then traveled to Norfolk Navy Yard Virginia and then Treasure Island California to study Degaussing and Deperming. Basically demagnetizing of ships and subs to keep their magnetic fields at low levels. Then off to Pearl Harbor, where he was stationed during the war. During this period in his life, he was writing letters to his future wife, Jessie Chipman. Life's Work/Service/Interests: Bob met the love of his life, Jessie Chipman, in the fall of 1946 after writing letters to one another for almost three years. After crossing many bridges together and many more letters, they were married in the Cardston Alberta LDS Temple on June 8, 1949. They shared 67 wonderful years together, 66 of those years in their home in Pleasant Grove, Utah. He lived on the corner that was call "Monkey Town". Though he may not have been one of the original, it is fair to say he was a "Monkey Towner". Bob worked at Geneva Steel mill for 30+ years and also owned his own plumbing business. Taught his children to work hard by example. He loved the mountains, especially Mt. Timpanogos. He could be found hiking, biking or seeking out adventures on the mountain with family, friends, and by himself. Bob loved the arts; dancing, music, paintings, and sculptures. He was a faithful supporter of local artists. Bob was an active member of The Church of Jesus Christ of Latter-day Saints. He taught through example of his love of the Savior in his service to others. 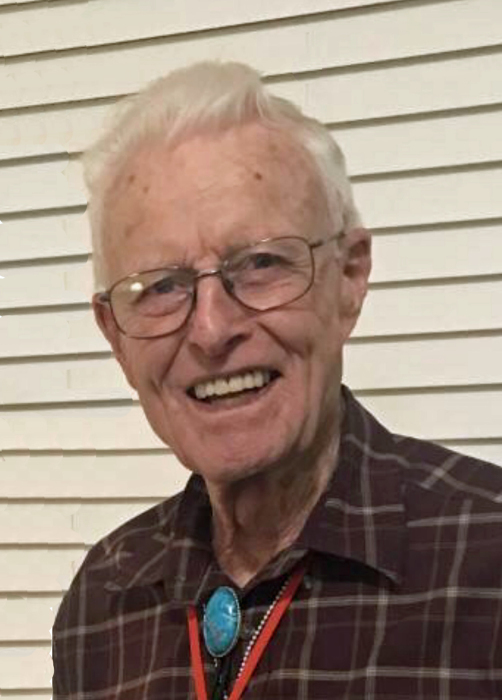 Harold Robert "Bob" Penrod passed away February 2, 2019. Survived By: His six children: Blake R. (Joan) Penrod, Bonita (Jack) Hunsaker, Blair H. (Debbie) Penrod, Melissa (Billy) Powell, Melvin J Penrod, Ross T (Tangi) Penrod; 26 grandchildren, 70 great grandchildren, and his three sisters Coe Nichol, Dorthoy Knight, Kay Finch.